Who is on Instagram and Facebook? Who likes taking photos? Who likes taking photos of their kids? 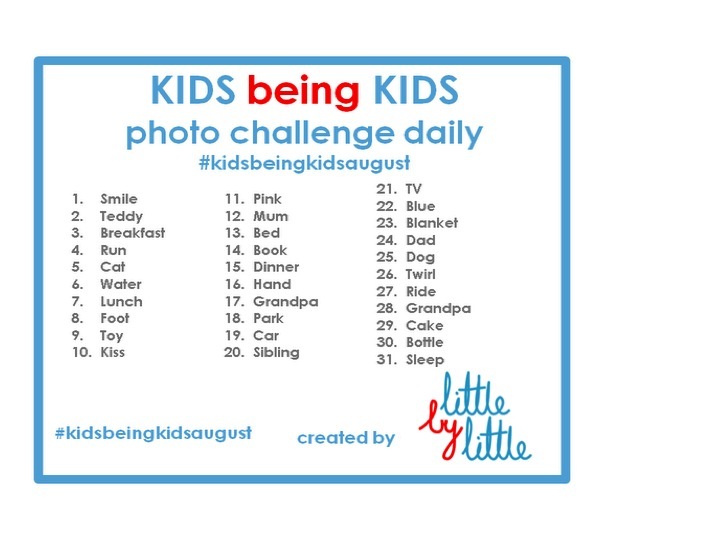 Have you heard of Photo-a-day from Fat Mum Slim? Enough with the questions! Well if you have answered YES to one or more of those questions you are in for a treat! 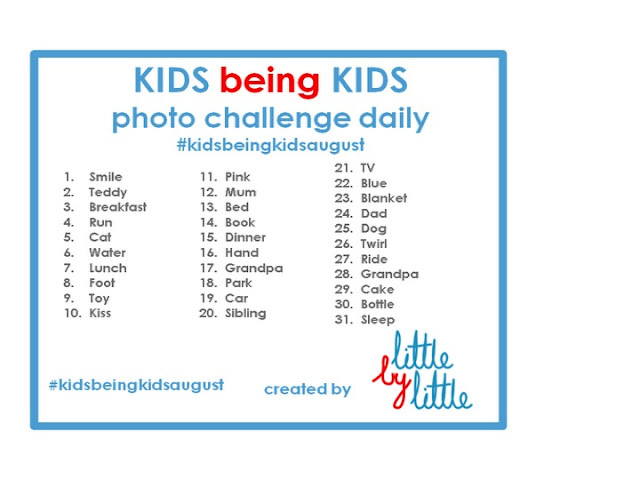 You can join in the fun by playing the KIDS being KIDS photo sharing game. 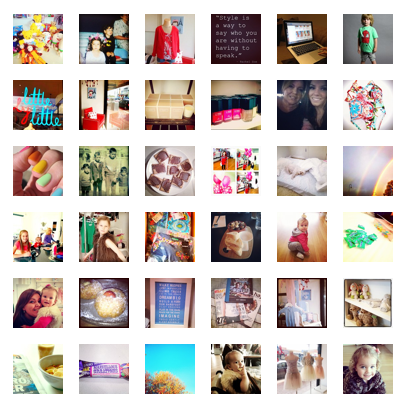 Your images are shared either on Instagram, Facebook or Twitter using the monthly hashtag and @helen_littlebylittle. This fun and creative ideas was started by one of my favourite bloggers Fat Mum Slim. The concept is very simple, you have a daily prompt, you capture an image based on that prompt, you share those images! Simple but clever... So with the blessing of the gorgeous Chantelle from Fat Mum Slim, we are starting our own, one that is designed for kids! Babies, toddler, school children, big kids or your furry kids! We don't care... Just join in! The prompts are easy... and its all open to your own personal interpretation! Let's say the prompt is Water, you can capture your child at the pool, your furry child running on the beach, a glass of water, your baby in the bath! That simple... there is no right or wrong. And if you miss a day, so what, you can jump on and off at any stage! The main things to remember are your hashtags, they change every month, and the most important thing... to have fun! Get your friends involved, just tag them on the Little by Little's facebooks page image of the prompts and no doubt there will be something at the end of it for you! Please join me on either Little by Little's facebook page or Little by Little's Instagram! Again, if there are any questions, please please please either ask here, or on Facebook!